Ellis Paul has moved his website over to Slab! We have helped him organize and archive his extensive articles and lyrics. 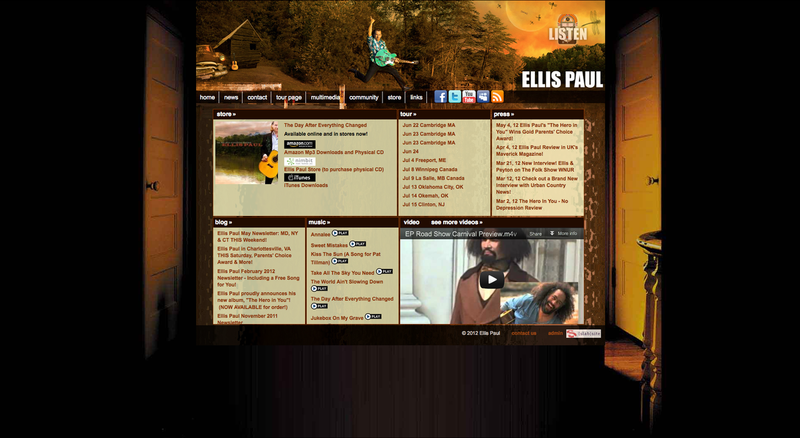 He also has added one of our extra features - the Slab webradio - try the "radio free ellis" link as well as his "video" section. We were recently asked to create a new look for the site. Happy to oblige, Ellis and spent some time with us on the phone and a new look emerged in a matter of hours!